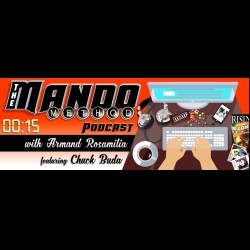 The Mando Method Podcast co-hosts Armand Rosamilia and Chuck Buda have both delved into putting their work on audiobook. Is it a viable option? A massive waste of time? A nefarious scheme hatched by an alien race? They meander in and out of talking about audiobooks as well as stuff they really shouldn't be talking about. Marketing Morsels host Erin Al-Mehairi is still not back from her yachting around the world in 80 minutes excursion, but as soon as she's able she'll bring this show back to a level of professionalism sorely lacking.